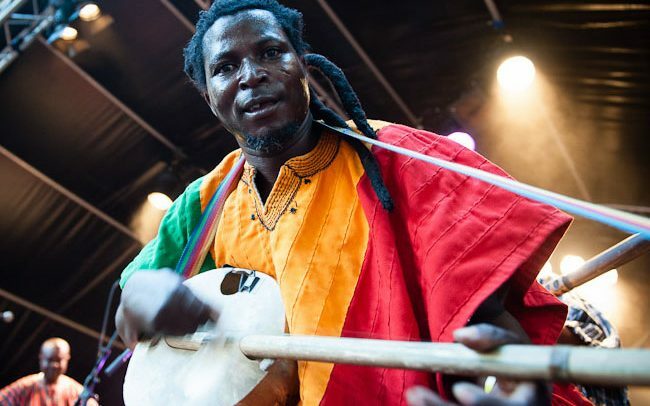 King Ayisoba is billed to perform in Accra at a concert dubbed ‘Batakari Night’ today at the Alliance Française in Accra. The event will bring together music lovers, particularly King Ayisoba fans, on one platform to celebrate his works, as well as showcase classic performances from other performing Ghanaian artistes. Organised by King Ayisoba and his management team, the concert will feature other ‘kologo’ players such as Atongo Zimba of ‘No Beer In Heaven’ fame, Sulley Ayune, Stevoo, Agongo, Wiyaala and some selected hiplife artistes. Wanlov the Kubolor has also been invited to thrill fans at the event. King Ayisoba, whose song ‘I want To See My Father’ made a lot impact on the Ghanaian music some years back, has promised to make this year’s event thrilling for music fans. He added that music fans who will attend the concert will receive free copies of his CDs, among others. The organisers said before the concert, there will be an exhibition and sale of made-in-Ghana products which include ‘batakari’ and other traditional items from northern Ghana. They added that a number of exhibitors, including fashion designers, have been invited to participate in the exhibition, which is expected to attract people from all walks of life.